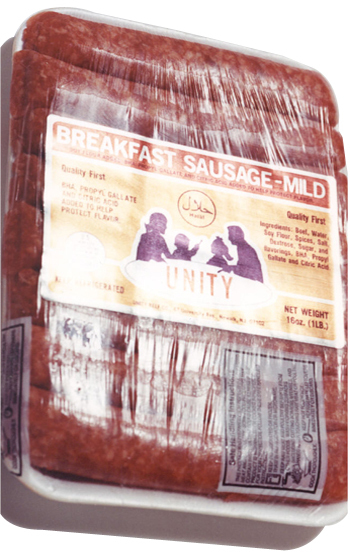 Unity Brand Halal Products specializes in making a variety of halal sausage that consists of spices and a southern taste inspired by the African-American culture and experience. Sausages can be purchased as links or patties with “mild” or “hot” seasoning. Copyright © 2011 Unity Brand Halal Products - All rights reserved.